There can be no doubt that the food we eat and produce has a substantial impact on our planet. From the agricultural methods we use to produce fruit, vegetables and meat through to the fish species we choose to consume; to the way our food is transported to the market or where it was bought, packaged and sold. Almost every step of food production and the distribution process brings some degree of environmental impact. And few would disagree that these collective environmental impacts are contributing to global climate change, which in itself poses very distinct health risks to the UK and the rest of the world. The UK Government recognises that procurement can have a considerable impact on the environment. As a result it has introduced the Government Buying Standards. When you consider the sheer scale of activity undertaken by Government, which ranges from building massive national infrastructure to buying a desk made from sustainable timber, it’s not hard to see the difference that sound environmentally sensitive procurement can have. The standards include a set of minimum mandatory standards for inclusion in tenders and contract performance conditions, and apply to all aspects of Government procurement, which of course includes food and catering services. It’s an issue which may also have been on the mind of NHS Chief Executive Simon Stevens in early September when he announced plans to make NHS workplaces healthier, by ensuring that raising food and nutrition standards across the NHS is a priority. 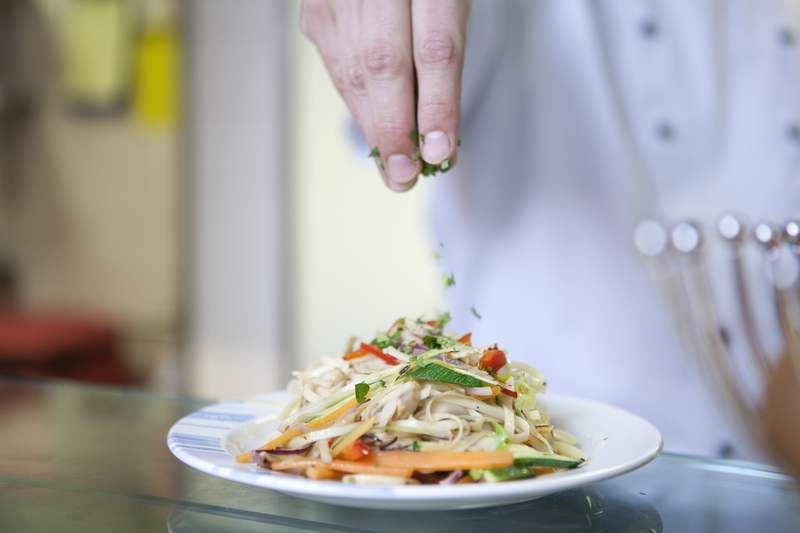 Our guidance on Healthier and More Sustainable Catering provides those responsible for food and catering services and planning menus with the principles they need to ensure the food they serve is nutritious and sustainable (as the title suggests). The documents cover the guiding principles when considering food service and our toolkits for adults, and older people in residential care, show how to apply these principles with case studies. Our tools also help those who commission, procure or cater or serve food to identify the aspects most relevant to their roles – ensuring food is sustainably sourced, healthier and climate friendly. Of course the overwhelming focus of the diet and obesity team at PHE is to encourage healthier eating, as shown by the eatwell plate. But our advice is also compatible with achieving sustainability benefits that come with responsible sourcing and eating. Our advice takes this major opportunity to simultaneously improve public health and the environment, which is so crucial to climate change. The advice doesn’t end with food. Just as important are drinks. The quality of our drinking water across the UK has been confirmed as being among the best in the world and tap water can be the easiest and the most sustainable way to hydrate. Our Healthier and More Sustainable Catering toolkit is a starting point for those involved in this work and we’re hoping that more and more providers will come to realise that healthy food provision can also be good for the planet. growing food in GP surgeries for other patients in hospital setting. Over time a new model of food procurement from local people powered health system will emerge.